While every business is different, all businesses have one thing in common: they rely heavily on their voice and data systems to conduct their operations. 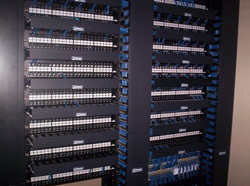 A strong system is built on a strong framework, and using an electrical contractor to create that wiring framework ensures that your voice and data systems be optimized to meet your needs effectively. Extensive testing to ensure that all systems installed are fully functional and easy to use. 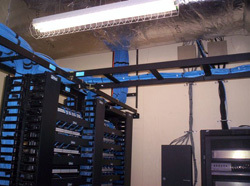 Voice and Data Services are a key component of preparing a new facility to handle the needs of your business. Having an electrical contractor design and install your voice and data components ensures that they will operate efficiently and consistently, and be able to handle expansion in the future. Marvin Electric is a full service commercial voice and data electrical contractor serving metro New Orleans including Metairie, Kenner, LaPlace, and Chalmette. We also cover the Westbank including Gretna, Westwego and Algiers. On the Northshore we provide electrical services in Mandeville, Madisonville, Covington and Slidell. Marvin Electric has been providing commercial electrical services throughout Louisiana for more than 35 years. Our team of experienced, licensed electricians is ready to help you. Need commercial or industrial electrical service? Whether it's voice/data, design-build, back up power generators or site lighting - we can help!